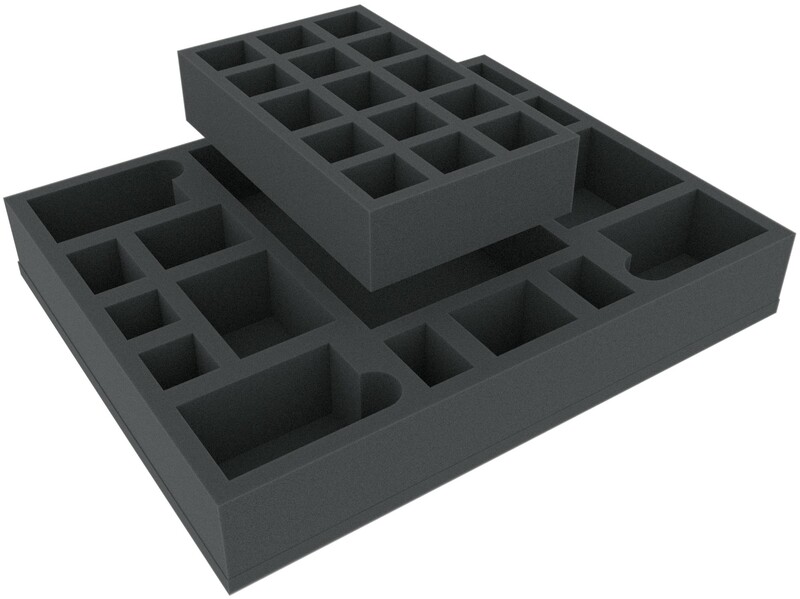 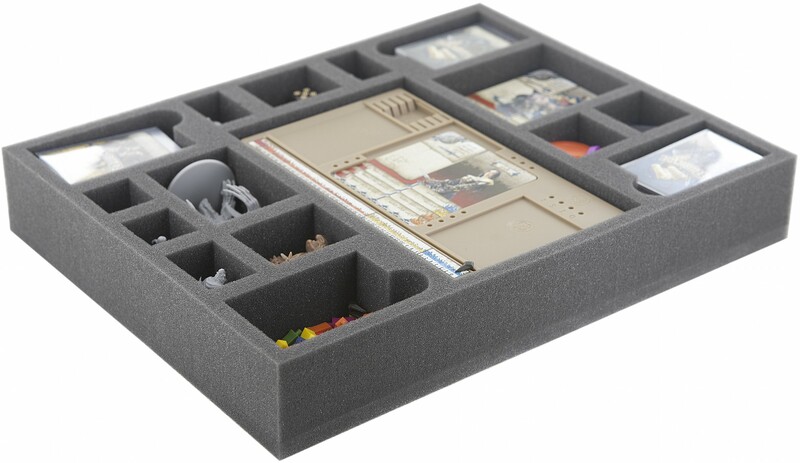 Excellent foam tray for the dashboards from Zombicide Black Plague and Wulfsburg. 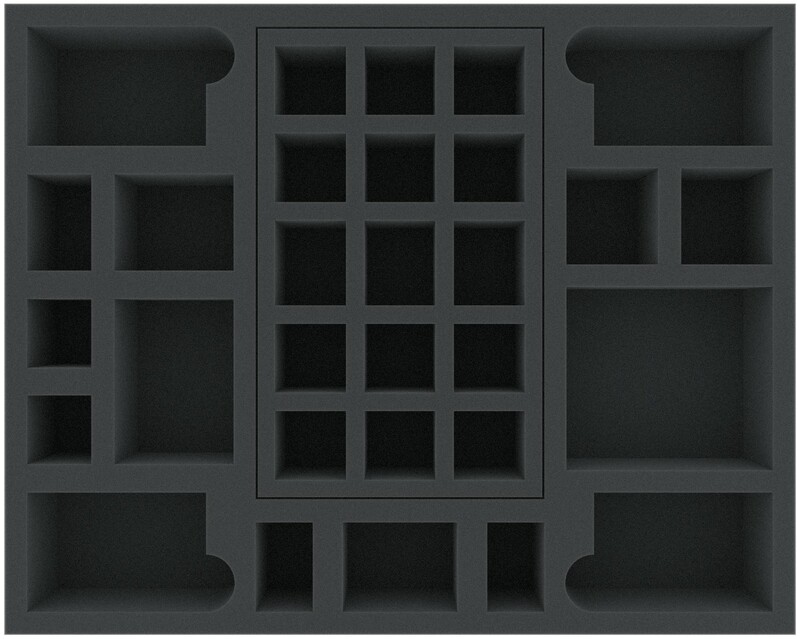 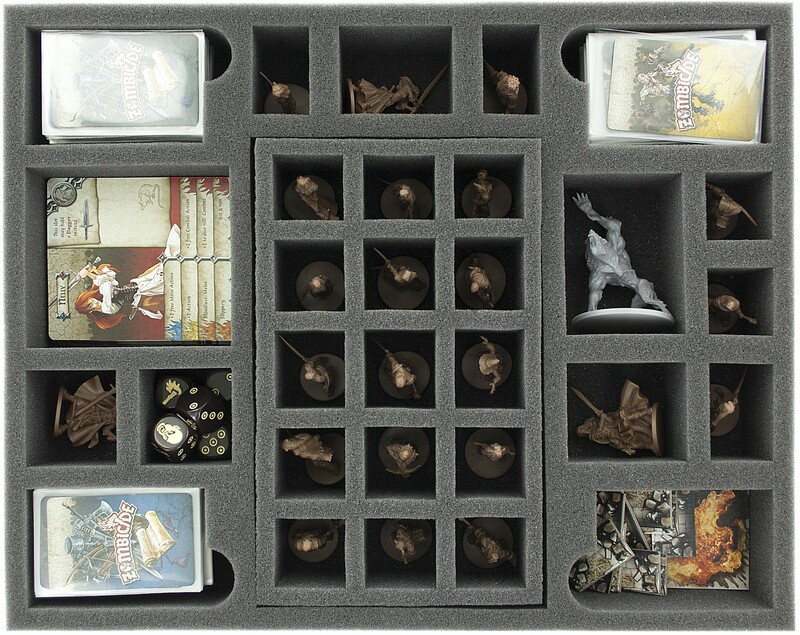 The tray also offers compartments for the character cards and other game components of Black Plaque expansions. 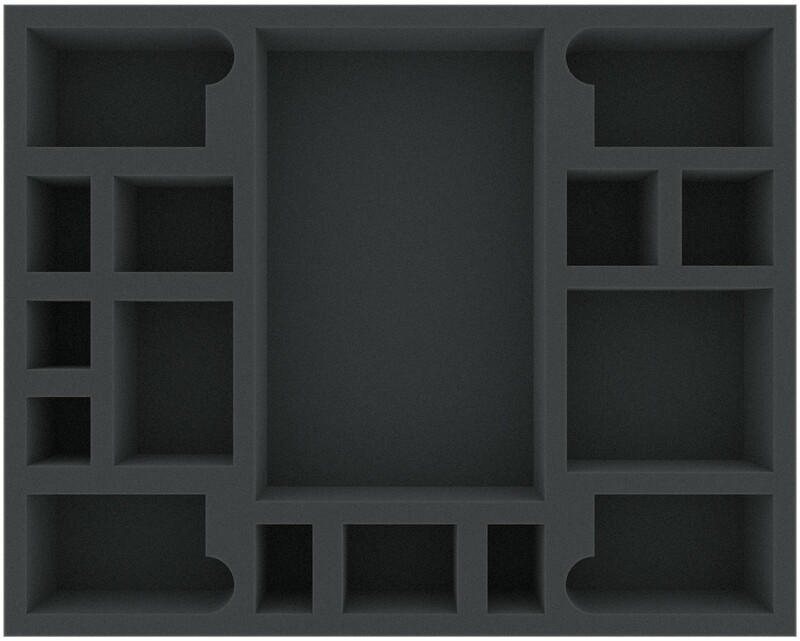 For all who do not want to transport in the foam tray their dashboards there is an removable inlay included. 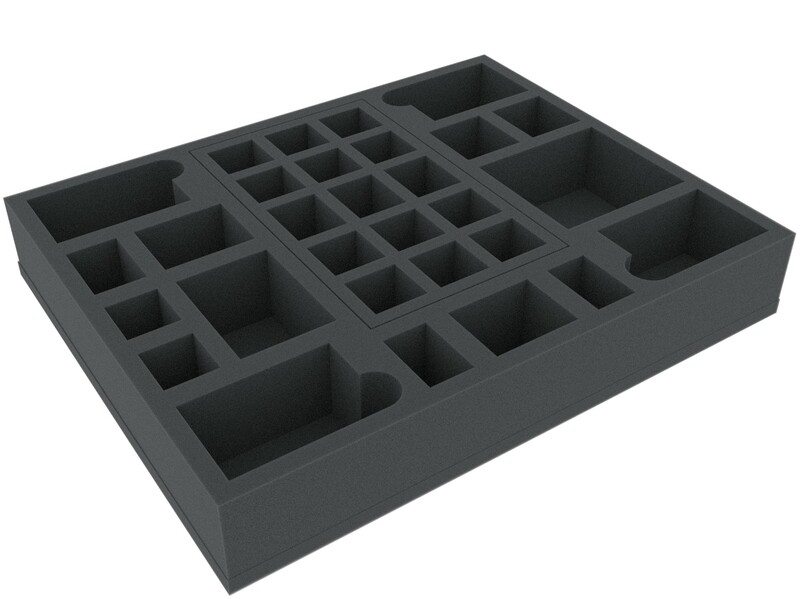 Through this, the dashboard compartment can easily divided in15 smaller compartments for standard miniatures. 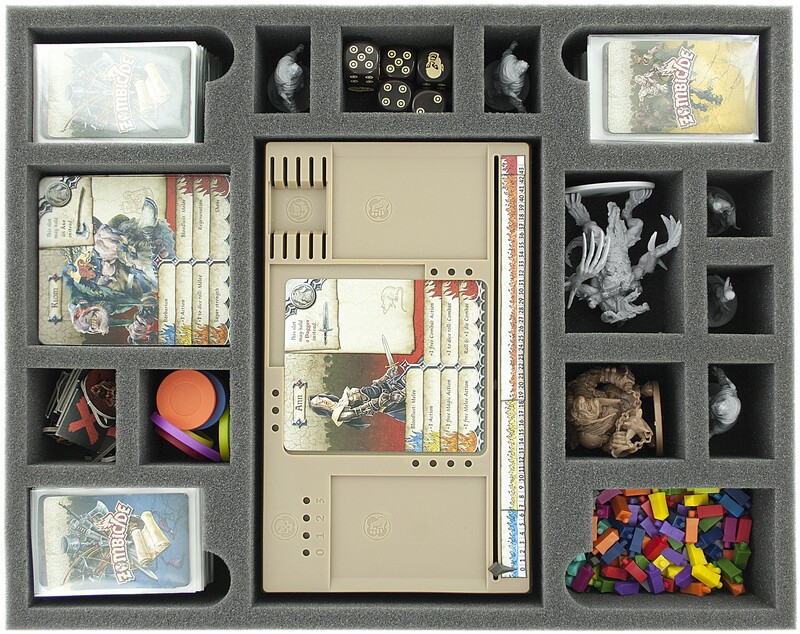 1 compartment for a Monster like "Big Bad Wolf"